In 1854 the Methodist Episcopal Church, recognizing the need to improve the training of its clergy, began the construction of a seminary on this site. Designed to accommodate 150 residents with classroom facilities for 400 students. 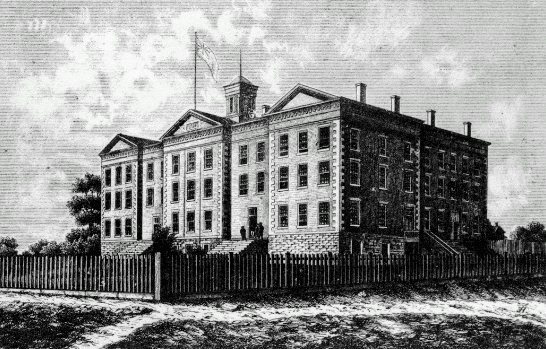 Belleville Seminary was opened in July 1857. In 1866 it was rechartered as Albert College, an affiliate of the University of Toronto, and five years later it became an independent degree-granting institution. From its beginning, the Belleville Seminary was in difficult circumstances. Many in the Methodist Episcopal community were suspicious of learning and of an educated ministry. Moreover, the denomination was divided over whether the school should seek provincial grants or follow the church’s voluntarist policy. Under Rev. Albert Carman’s forceful direction, and with the backing of his bishop, Rev. James Richardson, and of the superintendent of education for Upper Canada, Egerton Ryerson, it prospered modestly. Its survival owed much to Carman’s administrative and teaching skills and to his effective advocacy of its interests. His contribution was shaped and informed by the powerful blend of evangelical spirituality, ambition, self-confidence, patriotism, and intellectual and moral rigidity that constituted the core of his personality and convictions. He managed the meagre resources of the school prudently and sought energetically to strengthen its position in his church. 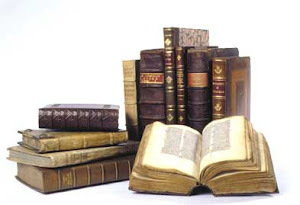 Within the college, secular knowledge and the knowledge of God were imparted in an evangelical, morally conformist, and intellectually conservative context. As principal, Carman was often discouraged but remained convinced of the need for the seminary to educate Methodist Episcopal youth and to provide trained leadership for the church. Doubtless at his urging, it became affiliated with the University of Toronto in 1861 and in 1866, as Albert College, secured a charter empowering it to grant degrees in arts. Although women were not admitted to degree programs, they were offered a diploma course; in 1868 Alexandra College was created for women students, who were permitted also to attend undergraduate classes. In 1870, moreover, Carman initiated the establishment of a faculty of divinity, and organized as well faculties of arts, engineering, law, and music. Carman’s work at the college and his evangelical preaching and writing had a strong impact on his brethren. Between 1868 and 1874 he defended the Methodist Episcopal position in the negotiations for the union of Methodist churches, but its entry into the union foundered on its insistence on an episcopate and its opposition to lay representation in governing bodies. In 1874 Carman was elected as the colleague and eventual successor of James Richardson. Ordained bishop at Napanee on 4 September, he was sole head after Richardson died in March 1875. In 1865, part of lot 21, Talbot Road East (Con. 6), was given to the Methodist Episcopal Church by Alex Summers. They were joined by the congregation from the Burdick Methodist church, and a building was erected on this site. Summers Corners formed a circuit with Springfield and Dexter. In 1879, Summers Corners came under the supervision of St. Paul’s Church in Aylmer, until 1915 when a circuit was formed with Richmond and Fairview. In 1964 Summers Corners became part of the Malahide Circuit until closing in 1974. 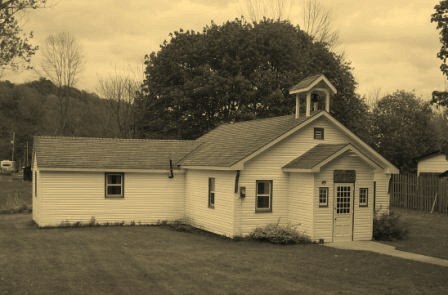 The Sunday School and United Church Women’s group continued until the church was torn down in 1979. 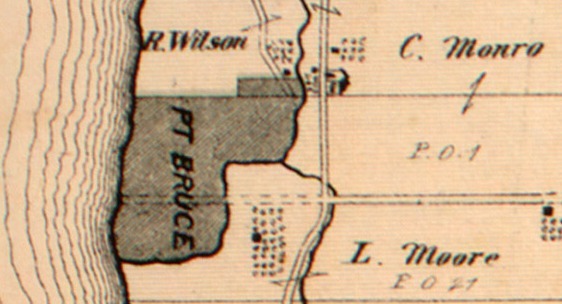 Port Bruce is listed as part of the Aylmer Circuit in the 1840’s. A deed dated Jan. 13, 1863 between William H. Davis and the Trustees of the Wesleyan Methodist Church exists for two-fifths of an acre in Lots 15 & 16, West side of Rolph Street, Port Bruce (part of lot 5, concession 1). It is presumed a church building was erected at this time. It was located a little to the south on the opposite side of the road across from the current Sunday School/ Community Hall building. Port Bruce is listed on the Malahide Circuit in 1891. In 1912 the church and property at Port Bruce was sold and the building was torn down. Port Bruce Sunday School – Following his retirement in 1947, Port Bruce resident Robert Maguire began to raise funds to build a Sunday School. In 1953 a building was erected on the east side of Rolph Street almost across from where the old Methodist church had been located. The land was purchased from Frank Davidson and one lot next to it for parking. The Sunday School became part of the Copenhagen congregation, and Mrs. Maguire was the Superintendent. Prior to the establishment of a Post Office in 1868, Mount Salem was known as Hamburg or Louisville. The Methodist congregation met first in the school house which had been erected in 1843 on a lot given by Erastus Westover (part of lot 21, con 4). In 1862 a Union Church was built on a 1/4 acre lot, part of the south half of Lot 20, Concession 4 (west of the Mount Salem corner on the north side of the road).A deed for this lot bears the date March 28, 1868 from John Farthings to the Trustees of the Union Church: Joseph C. Baldwin, John Marshall, Thomas Hunt Sr., Emanuel Rockey, George Hilliker, William H. Smith and James J. Brown. A Board of Trustees from the community was formed, and the Union Church was used by different denominations. 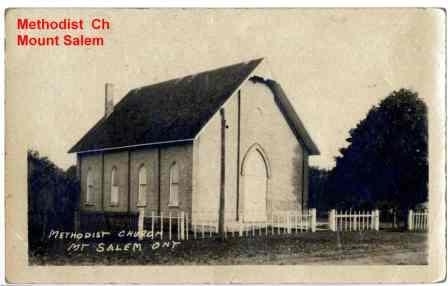 On October 10, 1886 a parcel of land in the south half of lot 21, concession 4 was deeded to the Trustees of the Methodist Church by Peter E. Hunt, and a church building was erected in 1887, north of the intersection at Mount Salem on the east side of the road. The Mount Salem congregation amalgamated with Dunboyne in 1957, and the church was purchased by the community for a hall, where Sunday School continued to be held until 1964. In 1978, the building was sold and torn down and replaced by a new home. An article in the Aylmer Express, Oct. 21, 1915 records that “the site of the old Union Church was purchased by Lloyd Graves, and the shed was sold in three sections to three parties. Mr. E. V. Learn has purchased the old Union Church and intends remodelling it into a barn”.